The incompatibility between certain Xbox Windows Phone 7 games and the new Windows Phone 8 OS has been frustrating for gamers alike. More than 20 Xbox games don’t work with WP8, a problem that Microsoft initially tried to sweep under the rug by pulling those titles’ pages from the Windows Phone Store. Since then, one affected title became compatible with WP8 (The Oregon Trail), while a new game became unavailable due to incompatibility (Shoot 1UP). You might say the two games canceled each other out, progress-wise. The same thing has just happened again, with Babel Rising 3D reappearing and Capcom’s just-released and far superior KenKen disappearing from WP8. The incompatible list can’t seem to drop below 25 games! Don’t worry, we actually have a tidbit of good news to report on Microsoft’s handling of the WP8 incompatible games. Check it out after the break. Babel Rising 3D has been updated to version 1.1 and now works on Windows Phone 8.That’s a change of restorative methods, as The Oregon Trail was simply updated on the backend without an actual version change. A brief description: Babel Rising allows players to play as a vengeful god. Your worshippers have decided to build a tower to the heavens – a tower of Babel, if you will – and it’s your job to smite them into ashes and not allow them to use birth control no matter how much it makes sense to do so. You’ll smack them down using a variety of destructive powers including lightning, floods, earthquakes, and even meteor showers. Now, I wasn’t too psyched about Babel Rising 3D to start with because none of the other versions, be it iOS, XBLA, or PSN have been any good at all. Seriously, you can’t find a fan of Babel Rising to save your life. 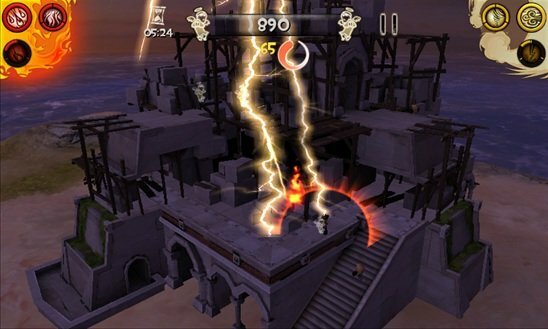 Specifically, the game’s difficulty is widely considered to be set to evil. 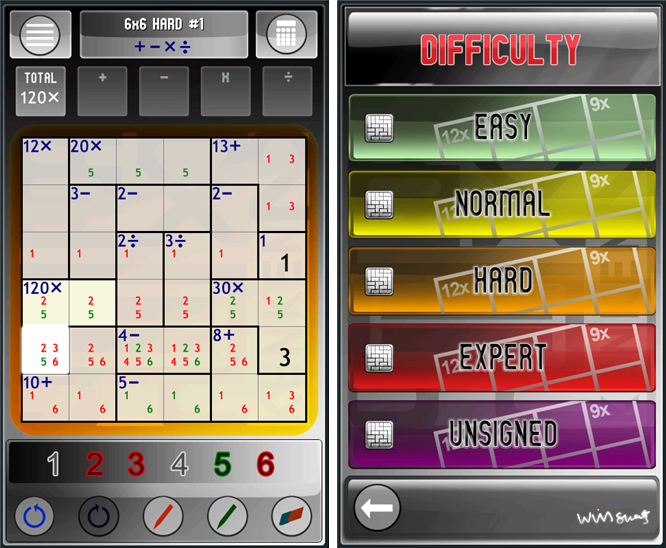 And the WP7 version launched with the same difficulty problems plus new, highly unresponsive controls. In fact, not a single person has the Achievement for completing the Campaign, because the third Chapter's fourth level is literally impossible to beat. Simply put, Babel Rising is a god game that only a devil could love. Even now that even the game can be purchased on WP8 again, our own George Ponder experienced major crashing when trying to run it on his Lumia 920. If we want to see a good god game on Windows Phone, we'll have to hope that Peter Molyneux's Project GODUS eventually gets ported. Note that even though the game can be purchased on WP8 again, our own George Ponder experienced major crashing when trying to run it on his Lumia 920. 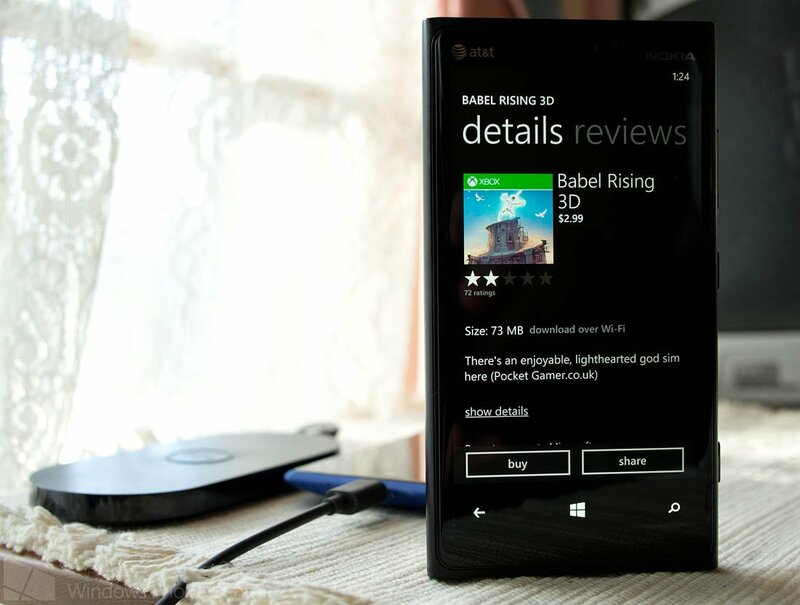 Daring gamers can get Babel Rising 3D for $2.99 on the Windows Phone Store. Shortly after our post went up announcing KenKen’s availability yesterday, the game mysteriously ceased to be available for Windows Phone 8 devices. It store page now lists the OS requirements as WP7 and WP7.5 only. The lack of WP8 availability boggles the mind because I have the game on my Lumia 920 and it works perfectly. Perhaps there was some issue with a different WP8 handset? 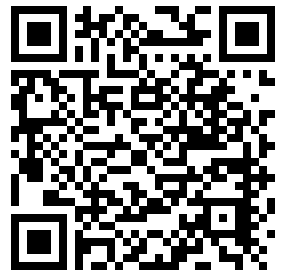 Dear readers: if you managed to snag KenKen on a non-Lumia 920 WP8 phone, please let us know about your experience. Now for the purely good news! Microsoft has made a true in-road with their handling of the WP8 incompatibility situation. All of the store pages for the affected games (including Shoot 1UP) have returned to the WP Store website. 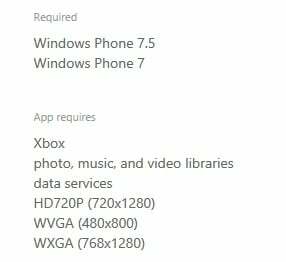 They now list OS requirement as either Windows Phone 7.5 or both WP7 and WP7.5, much as the Angry Birds WP8 games’ pages state their requirement of Windows Phone 8. It’s a more honest way of handling the OS compatibility concerns, and we appreciate it.